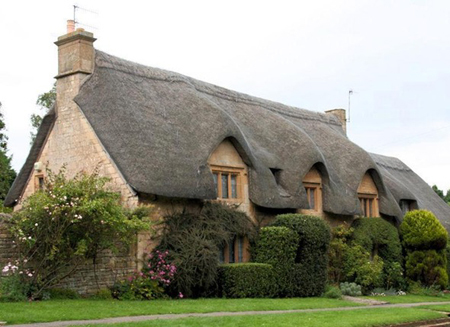 Thatched roofs have endured for thousands of years, offering a durable roofing option that not only adds character to a charming cottage, but a modern home as well. However, there are pros and cons to having a thatched roof and it helps to know what to expect if you are considering having a thatched roof on a house. There's no denying that a thatched roof adds character to any home. 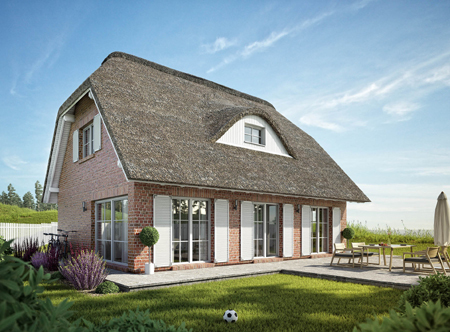 Because thatch is a sustainable material, a thatched roof - although more expensive than a tiled roof - is becoming a more popular roofing option for new cottage, modern and contemporary styles homes. 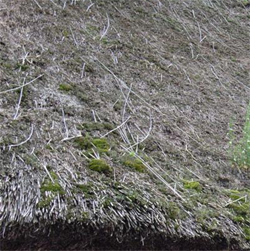 Grown locally in abundance, thatch is an eco-friendly and sustainable roofing material. 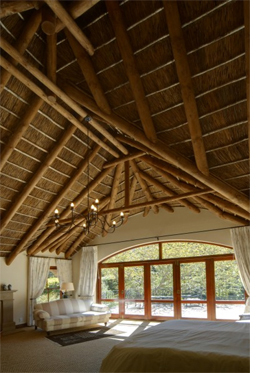 Here is South Africa we have an abundance of grasses that are suitable for thatching and the timber framing system used to mount a thatch roof consists of pine or eucalyptus from local forests around the country. ABOVE: With growing environmental awareness more importance is placed on home insulation - but few modern building materials insulate as well as thatch. • When professionally installed, regularly maintained and sited away from overhanging trees, thatch can offer a durable roofing option that has a lifespan of anywhere from 15 to 20 years. • As a natural material, thatch is the best insulated roofing option for a home. • Here, in South Africa, and in many other warm-climate regions around the world, thatch is the preferred roofing choice due to its natural insulation properties. 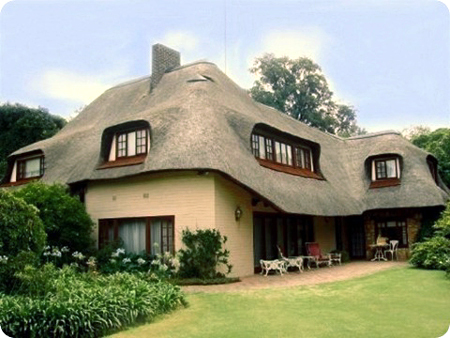 A thatched roof maintains a cool house in summer and a warm home in the cold winter months. • Over time the natural material becomes darker, blending with the surrounding countryside, offering a more natural approach to roofing a modern home, which is why so many game farms and lodges use a thatched roof option for these buildings. • A thatched roof is one of the most eco-friendly ways of roofing a home. Materials are easily grown and harvesting this natural resource requires little or no machinery. 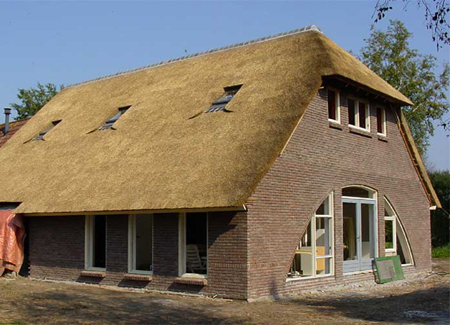 And, although more labour intensive - and therefore more expensive - than other roofing options, most thatching materials are harvested in rural communities, providing much-needed jobs and support. • One of the most beautiful features of a thatched roof home is when it is crafted into natural free-flowing shapes, adding character and personality. 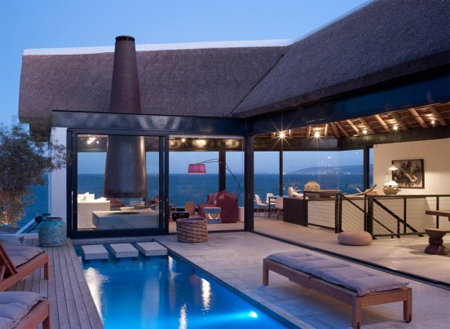 • Thatch is a versatile material when it comes to covering irregular roof structures. • Thatching creates a relatively low cost means of adding on to your home by utilising roof space that would otherwise have been wasted. Plus, the high open ceilings give rooms a spacious feel. • Because of the labour intensive installation technique involved, a thatch roof is more expensive than most other roofing materials. • Insurance premiums will be higher on your home in comparison to other roofing materials. • A thatch roof requires annual inspection to ensure that any minor repairs are addressed to prevent the need for expensive repairs at a later stage. The ridge cap - the part of the roof that receives the roughest treatment from the elements - will require more frequent attention, as this not only prevents leaks into the property but also maintains the structural integrity of a thatch roof. BELOW: A thatch roof needs to be sited away from overhanging trees, as this will prevent the thatch material from drying out quickly. If left damp for too long, thatch is susceptible to rot and fungal growth. • Thatch should be regularly treated with a fire-retardant, especially in drier parts of the country where thatch material can so quickly ignite. Methods for treating thatch is based on the impregnation of grass/reed and other similar products with a combination biological preservative and fire retardant. The risk of fire cannot be ignored and many thatchers recommend a fireboard as an added security measure. Discuss these options with the contractor to select the best method for your thatch roof. • The installation of a lightning rod, or lightning protection system, is required by law. These devices are designed to intercept, conduct and disperse the otherwise disastrous effects of a lightning strike. • A fireplace should be properly walled, with a minimum double-wall thickness surround, and the chimney should be fitted with a spark arrestor and be located high enough to reduce the risks associated with stray embers. • Infestations by insects, intrusion by birds or vermin, and other damage to the thatch, can occur if it is not properly laid and adequately protected. Discuss any special treatments with your contractor. If you decide to install a thatched roof, do ensure that the contractor you employ has references on previous installations and can apply suitable treatments to extend and protect your investment.